Hey folks! I remain completely obsessed with cuticle care products, so here we go again! I've already reviewed Pretty & Polished's cuticle oil and liked it, so I decided to give their cuticle balm a try. 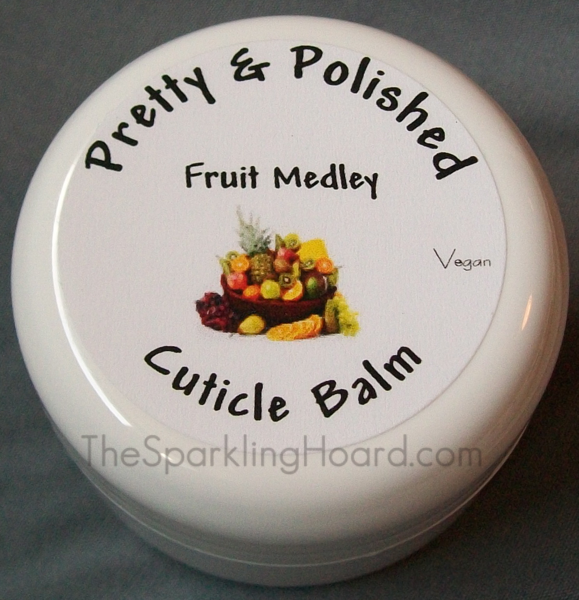 Pretty & Polished Fruit Medley Cuticle Balm (0.5 oz size) is a really nice product! The scent is very delicate (sort of a combo of "clean" and "fruity"), so those of you who tend to be sensitive to fragrances might have luck with this. It has sort of a grainy texture, but the little grains melt as you rub the product into your skin. I liked the way it felt, not too greasy, not too waxy! Once it sinks in, you're left with soft, moisturized skin. The jar it comes in is much bigger than it needs to be, so while it's easy to grip, it's not super portable (better to keep this at your bedside, not in your purse). 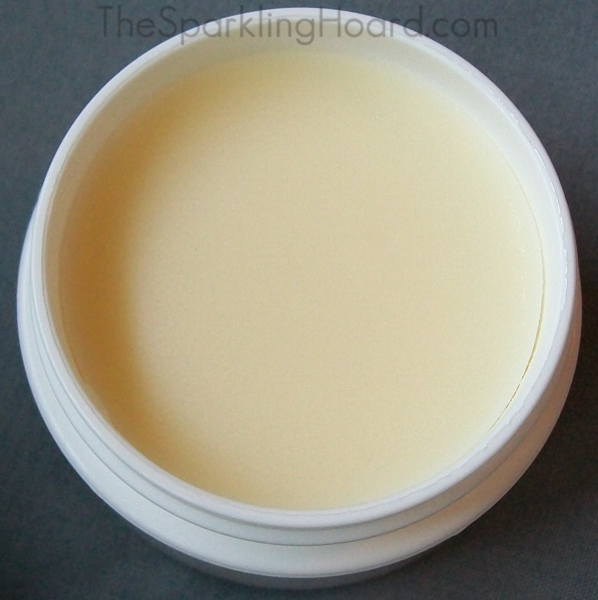 It has a diameter of about 2 inches and a depth of about 1.5 inches, but the balm itself is only about 1 centimeter deep. My only real complaint is that the ingredient label is not waterproof. If it gets wet, it becomes gooey and the lettering comes off. 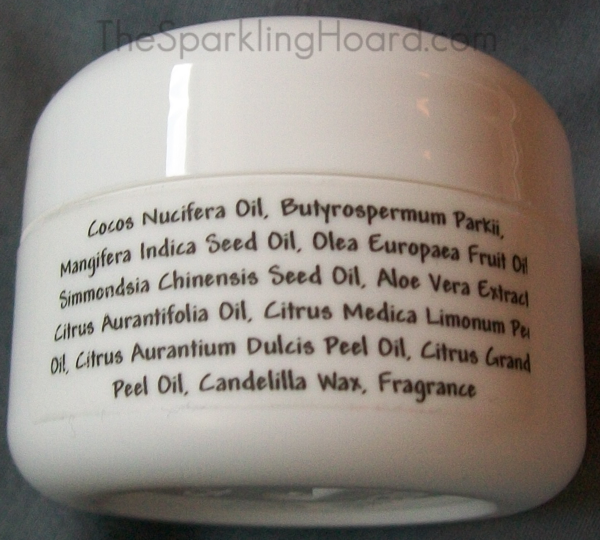 Side note: Be advised that each scent of P&P's cuticle balms has a slightly different ingredient list. The ingredient list provided here applies only to the Fruit Medley balm. Top view. As you can see from the label, this is a vegan product! Pretty & Polished's cuticle balms cost $5 for 0.5 oz or $9 for 1 oz and can be purchased at the brand's online store. To stay up-to-date on the latest news from P&P, follow them on Facebook, Instagram, and Twitter.